Hello friends UC browser lagbhag sabhi log jante hi honge. Ye mobile ka top browser me se hai. Jisme aap news bhi pad sakte hai. Aaj ham aapko batayenge ki ucnews me Account Banakar Blog Add kaise karen. 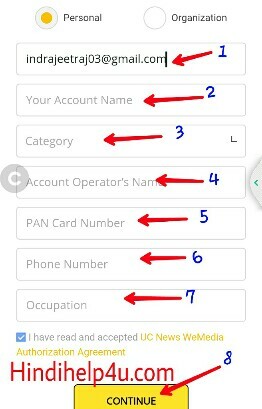 Uc news ke lagbhag 10 million user hai socho agar hamare post Articles ucnews me account banakar aa jaye to kitne log ushe dekhenge aur janenge. Yadi aap ek blogger hai to aapko pata hoga ki blog ke liye traffic kitna jaruri hota hai. Ucnews me aapne dekha bhi hoga bahut log post likhkar submit karte hai jisper like bhi milta hai. Aur followers bhi bad jate hai. Ucnews ye chaina ki site hai jiska uc browser bhi hai.jisme ham sabhi type ke news padte hai. Ucnews Alibaba.com website ka part hai . Jisme har country me sabhi language me uc nes ke news show hote hai. Jaise ki aap india me dekhte hai wise hi uc news har country me show hota hai. UCnews me Account kaise banaye, aur apna post kaise submit kare ? Uc news me successful account banae ke total 4 proccess aapko karna padega. Sabse pahle Â mp.ucweb.comÂ Â uc news ke is link per jaye. Ab sing up Button per click kare. Sing up karne ke baad niche diye jaisa form khulega, jisse fill karke sing up karna hoga. Pahle option me username likhe. Secend option me password create kare. Isme ek code dale apni taraf se banakar. Last sab fill karne ke baad singup per click kar de. Step-3-Sing up karne ke baad ek popup window khulega. Jisme 2 option milega. 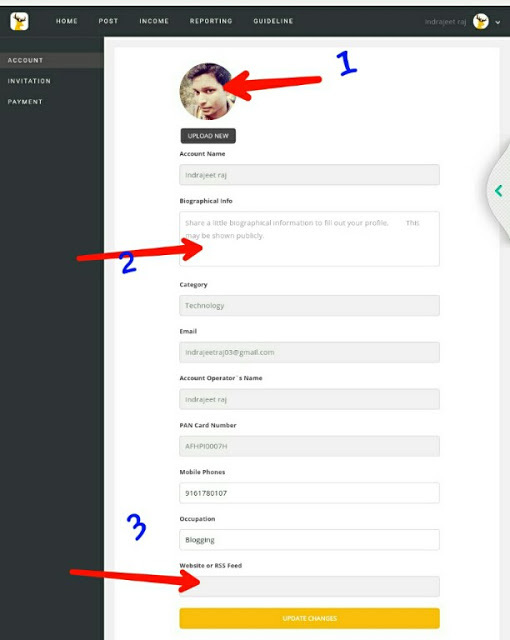 1-Personal:Â Agar aap apne blog par sirf apne thoughts share karte ho or aap ek professional blogger ho or sirf aap blog par content likhte hai to personal account type select kare. 2-Organization: Agar aapki site par multiple author content write karte hai or aapki site ko groups ya companies handle karti hai to aap organization select kare. Yadi aap personal per tick karte hai form ko fill karna hoga. Pahle apna gmaip address dale. Account name me apna name dale. App ka blog kis categories me like as Technology,food , entertainment jaise hoga usko select kar le. Account operater name me apna pura name likhe. Isme pan card ka account number dale. Apna Personal phone number enter kare. Occupation me aap kya kam karte hai usko likhe.Bas ab continue per click kar de. Continue per click karne per aapke pass ek email aayega. Apna email khole massage ko open kare ab aapko account confirmation karna hai. Account information process me aapka account panding me rahega. Niche diye jaisa dikhega. Aapka jo last process hoga account status ka ise hone me 1-2 din lag sakte hai. jab aapka account fully approved ho jayega tab aap apne account ka status dekh sakte hai. 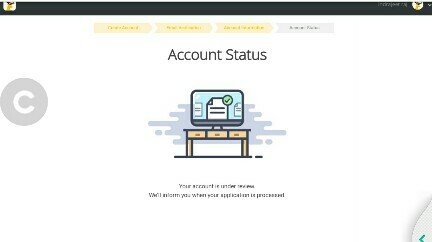 Iska matlab aapka account ban gaya hai , us per prosess ho raha hai , account activate hone me kuch time lag sakta hai 1-2 din bhi lag sakta hai. UcNews me Blog add kaise kare. Jab aapka uc news account activate ho jaye tab aap apne blog ka url ya feed url dal dal kar apne blog ko uc news me submit kar sakte ho. Me apna banaya hua account ko sing in kare. Sing in karne par uc news ka dashboard aapke samne hoga. Right side me uper corner me click karne per ACCOUNT ka option hoga us per click karenge to aapka account edit page open hoga. Niche diye gaye image ki tarah ab aapne blog ko yaha se add kar sakte hai. Profile bhi laga sakte hai. Pahle wale option per click karke apna profile add ya change kar sakte hai. Isme apne bare me ( biography) likhe. Ab isme aap apne blog ka RSS feed url ko copy karke yaha paste kar de aur last me submit per click kar de. Pooja ji, Uc news se aapke blog per koi effects padega. Uc news post not crowl in search. Paytm Account Kaise Banaye PC Ya Mobile Se ? 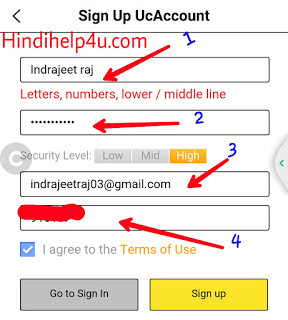 New Hindi Whatsapp Tips and Tricks -Hindihelp4u ?